What is a Showroom Landing Page? Showroom Landing Pages serve as an alternative entryway to a Showroom's presentations. 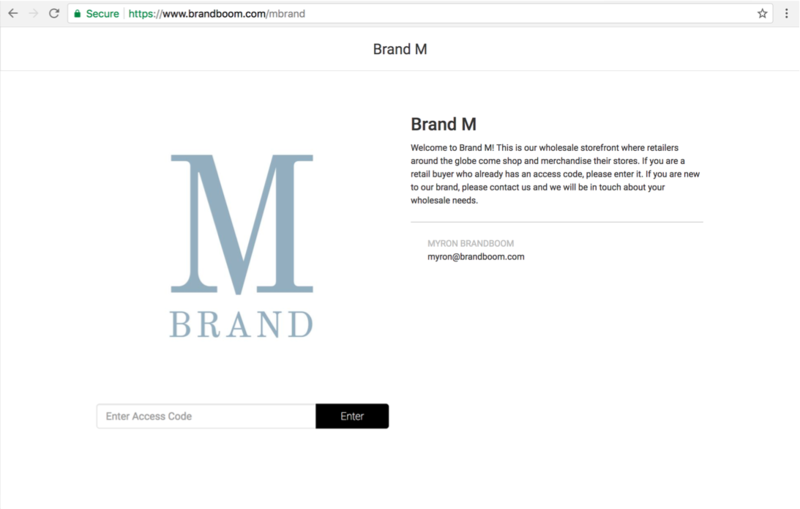 It is useful for users who want to direct traffic from their retail site or email to a page on Brandboom, without sharing presentation links directly. It is not a login page. It is simply an alternative way to access individual presentations, one at a time. It is not a gateway to a space where your Showroom contents can be browsed. In most cases we recommend sending Presentation links to your buyers instead of directing them to this page, unless you want to tailor their experience in this way. This box allows the buyer to type in an Access Code and be taken straight to the appropriate presentation. 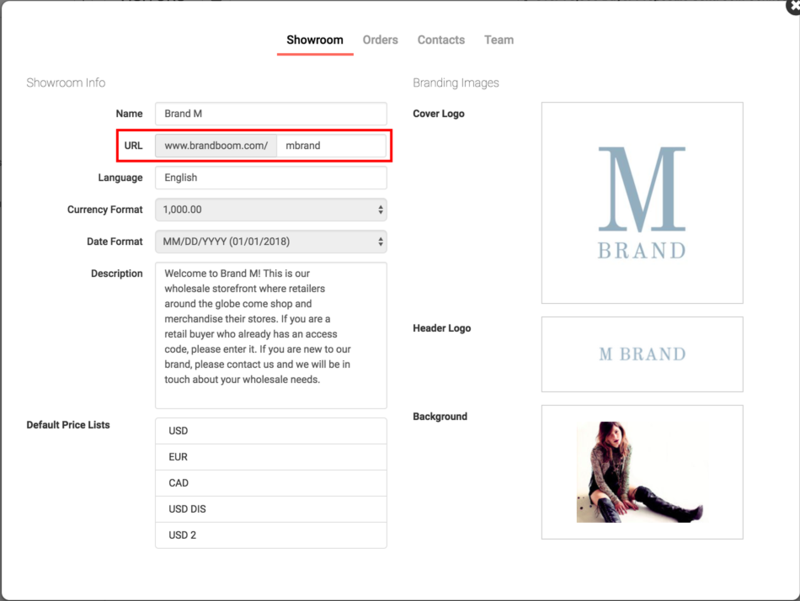 The page is automatically generated for your showroom when the showroom is created. You can find or modify the URL in your Showroom Settings. 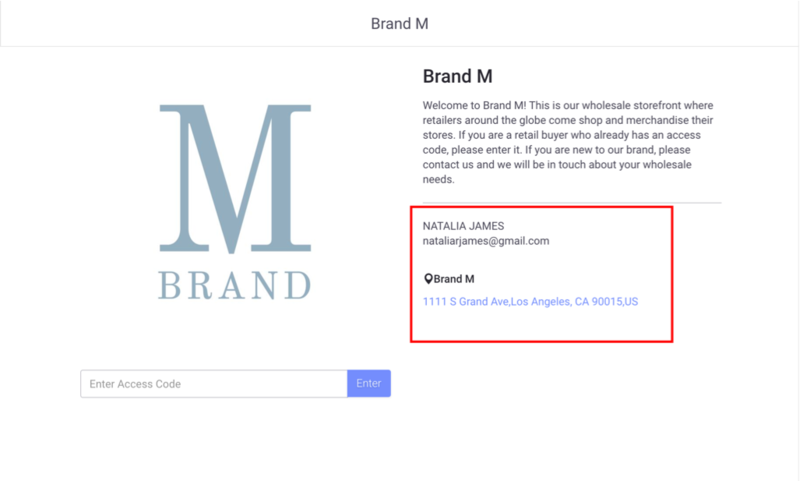 Your Landing Page will also automatically display the Description text, Cover Logo, and any contact info enabled under the Contacts tab. If you wish to display your company address and/or Team member contact info on this page, you can toggle it from the Contacts tab in the same Showroom Settings popup. See Contacts Settings for more information.